Dr. Bair was introduced to the chiropractic profession through his sister who had been injured playing sports and suffered from neck pain and headaches. Despite treatment from several good medical doctors, her symptoms persisted. She eventually sought the treatment of a doctor of chiropractic and experienced almost instant relief. While working on his undergraduate studies, Dr. Bair worked as a physical therapy assistant in a chiropractor’s office where he witnessed many miracles of chiropractic healing. In 1993, Dr. Bair graduated from the prestigious Los Angeles College of Chiropractic and practiced in the City of La Habra for three years before deciding to move his practice to the Placentia/Yorba Linda area in 1996. 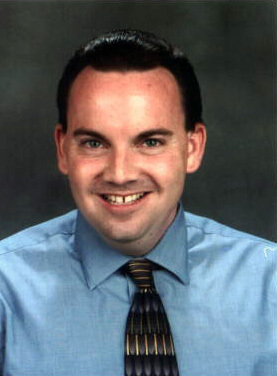 In 1997, Dr. Bair was invited to teach at the Los Angeles College of Chiropractic. He has continued to teach chiropractic interns in addition to caring for his patients. He is a frequent lecturer at the college as well as at local high schools, and also volunteers his time to mentor high school and college students who are interested in a career in the health field. In addition to board certification as a chiropractic physician and a license as a radiography supervisor, Dr. Bair holds several special certifications, such as Auto Accident Reconstruction and Biomechanical Analysis of Low Speed Impacts. As a police officer for over 20 years, Dr. Bair has investigated numerous auto accidents with injuries. This level of expertise is sought after by many prominent attorneys in the Southern California area. Work injuries require special attention by someone who has advanced training. From treatment to specialized report writing, Dr. Bair has extensive experience in this area. For this reason, many insurance companies and businesses send their injured workers to Dr. Bair for diagnosis and treatment. When another type of doctor or treatment is needed, Dr. Bair has close working relationships with many of the best medical physicians around. In his practice, Dr. Bair treats many different conditions. In addition to specializing in auto accident injuries and work injuries, he treats conditions such as low back pain, neck & whiplash pain, arm & shoulder pain, sports injuries, joint & muscle pain, headaches, wrist pain, pinched nerves & muscle spasms, hip & leg pain, and poor posture. As a pain relief specialist, Dr. Bair has committed his career to helping people overcome painful, debilitating conditions. He has treated and helped senior citizens and newborn infants, school teachers and construction workers, professional athletes and little leaguers. You will benefit from old-fashioned service and a genuine concern that is hard to find these days. You will be treated not just as a patient, but also as a person...a friend. Dr. Bair's post-graduate studies have included orthopedics, sports rehabilitation, pediatrics and certification as a Qualified Medical Evaluator.